You make it seem so easy! Can’t wait to try it myself! 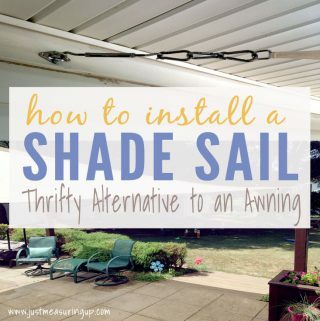 I just left a comment on your kitchen makeover and asked if you sanded first…should have read this first! I did that, too, before applying the gel stain. I loathe sanding, lol. Love the new look in the bathroom! A little new color can go a long ways! Hi again Audra 🙂 I loathe sanding too – I always just want to jump right in and stain/paint! 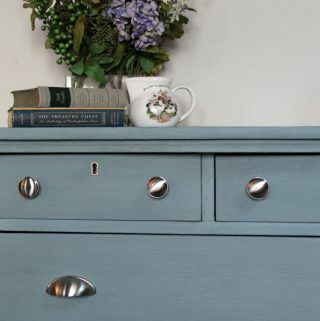 I just started using chalk paint on a few pieces of furniture – wonder how that would work with cabinets?? There’s no sanding with chalk paint 🙂 Happy New Year!! Looks awesome! You make it seem so easy! Thanks for sharing! The change looks very good! 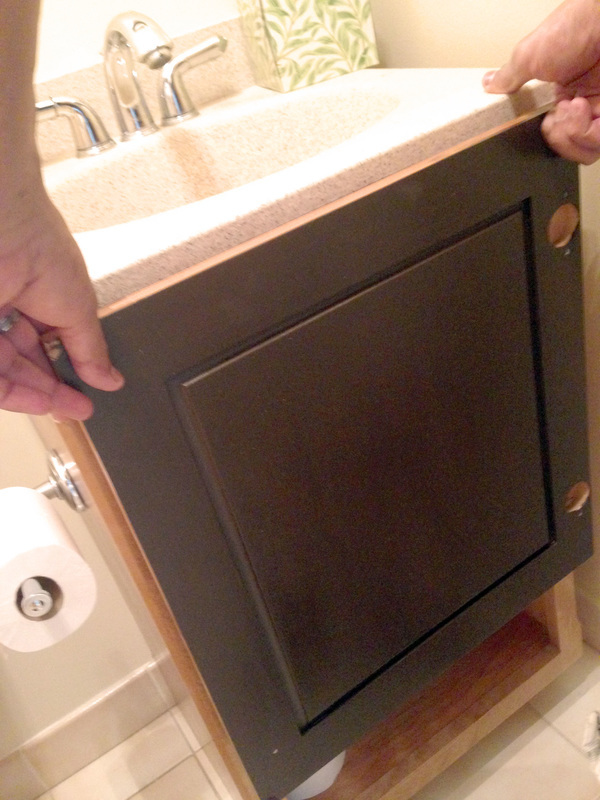 Staining the cabinet dark made such a difference. Great transformation. This looks great! Thank you for sharing at Support Your Fellow Crafter! I love the rich, dark color. It came out looking amazing. I love this stuff, used it all over my house for my cabinets 🙂 It’s like getting a brand new vanity right?! Thanks for sharing with us at Family Joy Blog linky party! Wow! 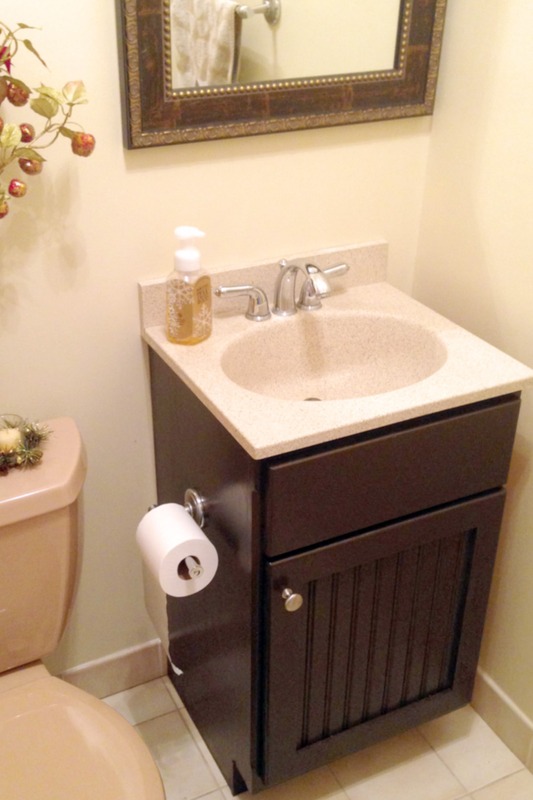 You really update the bathroom on a budget too! Thank you for sharing with us this week on the Art of Home-Making Mondays at Strangers & Pilgrims on Earth! this looks so good! I’ve never worked with gel stain before, but I’ve been kicking around ideas on where to try it. Thanks for sharing for #iDIYedthat. You did a really great job on this! 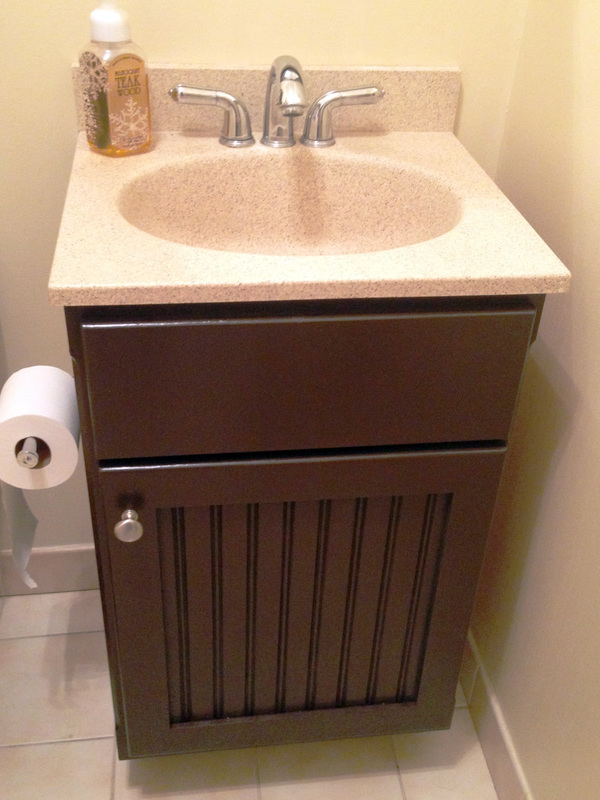 I like the contrast of the dark gel stain in your powder room. 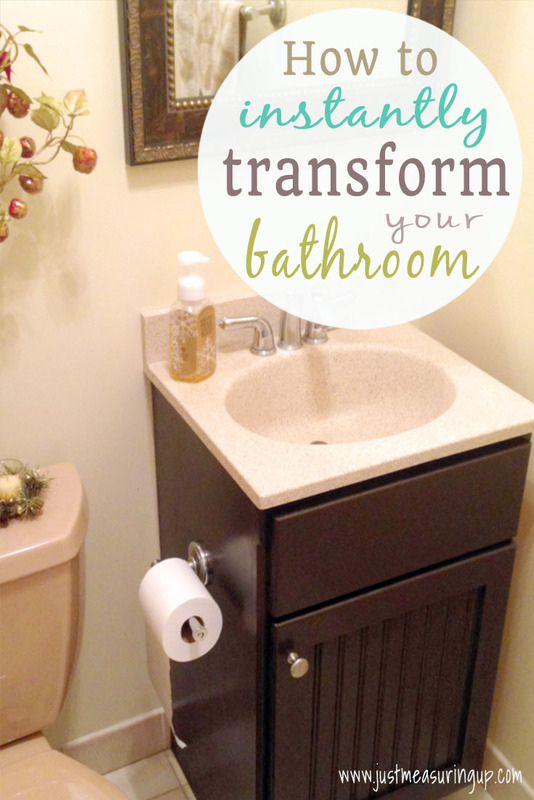 Our half bath is in desperate need of a makeover and this is a great idea. Thank you for sharing with us this week at Celebrate Your Story, have a great weekend. Beautiful! I remember your post about using the stain on your kitchen cabinets. 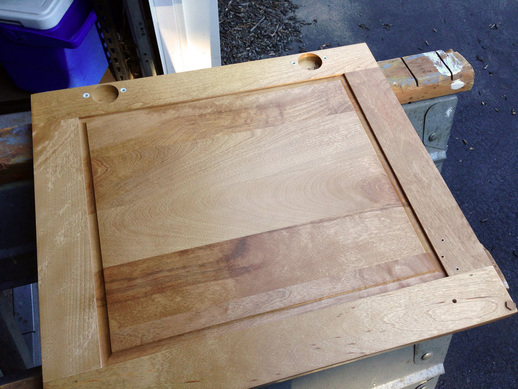 Thanks for your recommendations…I may just have a project that needs stain during the current ORC. Thanks so much for sharing again at the #happynowlinkup! Thanks Leslie! Yes – this was the catalyst to the kitchen! 🙂 The stain works so well! Hope your one room challenge is going well!! Love how the new dark stain looks! Thanks for sharing at the Friday at the Fire Station link-up! General Finishes Gel Stain is one of my favorites and a pleasure to work with, It really makes this little bathroom pop! Great job and thanks for sharing your project at Fridays Furniture Fix! 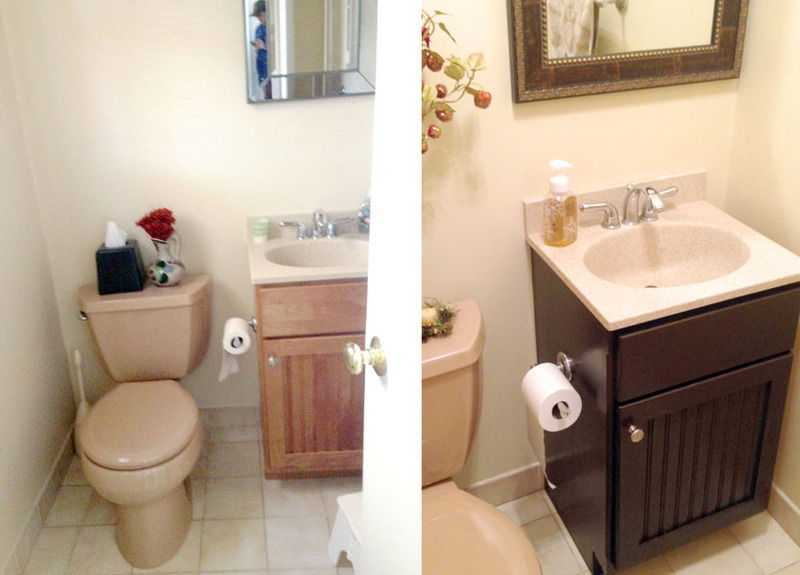 Beautiful bathroom makeover. Thank you for sharing at Vintage Charm. Wow… great make-over Eileen. It looks so different! !